Old school Naija types... Help me out please! There's a song I've been trying to find for years now. This kind of (wo)man, I never see o! This kind of (wo)man, I never see! I find am so tay I tire! I find am for far away! Na im I like, na im I go live with o! I have asked everybody and nobody seems to remember the song, but it was big for a minute, man... Somebody has got to know what I'm talking about! The band was officially called The Apostles (or The Apostles of Aba), but as some of their album covers announced them simply as "Apostles," I grew used to calling them that. Something about dropping the definite article makes the name infinitely more mysterious, otherworldly and intangible. When I was coming up, throughout Ngwaland you would see their albums--particularly Wisdom and the eponymous debut LP that pictured the band dressed in white like a contingent of angels--displayed in every family's living room. I actually thought they were a Christian group, though... Perhaps they were at the time; I know a few of the 1970s eastern rock bands that managed to hang around until the late 80s and early 90s increasingly began to dabble in gospel and mellow reggae as their original fan base grayed. Here, though, we have an offering from the band's heyday, when their hair--and that of their audience--was still black (and beautiful). There is no doubt that the Apostles are just about the biggest thing to hit the Nigerian Pop Music scene, recently. Perseverance, endurance, hard work and able Leadership of Walton Arungwa-- Group's Lead Guitarist are the Magic in their Success. The Apostles have to their credit four hit Singles; amongst them are "Down, Down the Valley", which served for them as an introduction to the music world, and a quality album captioned "The Apostles" which is still hitting the Country Bang Bang. Now what I have to say about this one--BLACK IS BEAUTIFUL ALBUM have already been said about hit albums of the Beatles, Jackson 5, Commodores, Meters and Osmond Brothers. For modesty sake, let me say that BLACK IS BEAUTIFUL is ONE of the best of its kind. It will get you wrapped up. 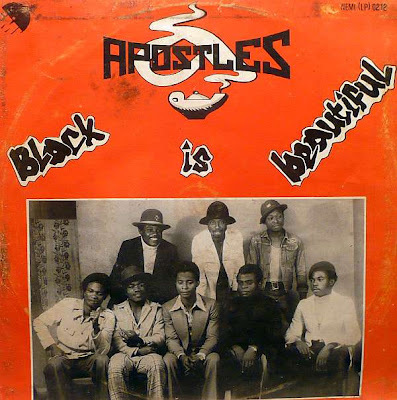 Apostles - "Black is Beautiful"
I haven't had time to post much as I've been working on a few projects that I hope will come to light soon, but I figured I'd try to get to some of the requests that have piled up over the past few months. 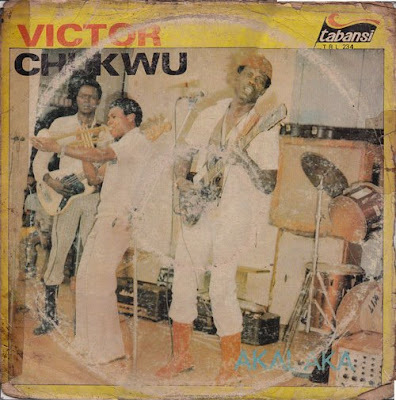 For example, when I was still in Nigeria, ambinwoke asked to hear some music from Victor Chukwu... I never did find the particular Victor Chuks & the Black Irokos album that I promised, but I did manage to pick up a somewhat raggeed copy his LP Akalaka. Victor Chukwu - "Born Throw Away"
Victor Chukwu - "Ogbu Mmadu"
Feel free to hit me up with more requests, folks... I'll try to fill as many of them as I can! In 1982, mere months after the release of Felix Lebarty's blockbuster debut, Lover Boy, a second Lebarty album hit the market. But rather than following the tried-and-true industry tack of designing the sophomore album to capitalize on the success of its predecessor by churning out a batch of similarly-styled hopeful hits, it offered a dramatic reversal in sonic direction. And it confused the hell out of everybody. The baffling thing about Girls For Sale was the fact it just plain didn't sound like the Lover Boy that the audience had quickly grown to know and love: Not only was Jake Sollo's slick discolypso pop nowhere in evidence--in its place a gritty, lo-fi rock sound--even the braying vocals sounded little like Lebarty's cooed come-ons. All in all, it bore more resemblance to an album by Ofege or The Apostles of Aba than to Lover Boy. "That guy really wanted to mess me up, and I can never forgive him. We talk and all that but each time I see him he's like someone who doesn't like musicians. "The day I learnt that Tony Okoroji was behind the re-issue of my first record--Don't Take My Girl--while my "Lover Boy" album was still on the charts was the saddest day of my life. It was like you've struggled for a long time and someone tried to turn the heat off your album. "I regret knowing someone like him. People reacted to it as my follow-up album to Lover Boy. Can you see the damage?" In any case, the album provides an interesting glimpse into Lebarty's formative years. 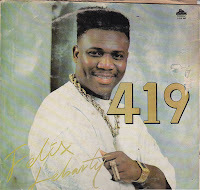 Note that "Mr. Big Brother" was refurbished on Lover Boy as "My Number One" and its lyrics seem directed toward Felix's older brother, highlife bandleader Aigbe Lebarty. We learnt that things became very tough for you before you left the US. (Laughs) Let me tell you, I think it is a very big secret. Any man that understands what living a good life is, you cannot find him going broke for too long, because he will always find a means of making ends meet. He will always look at what is happening and fits himself into it. The only people that go broke are those who are not willing to condescend to the level they should; people who are proud. Even in my negativity, I would come to you and ask you how you are making it. Was that what you did when you went to the US? On my first visit to the United States, I was received like a star by my community. But when things became tough I asked them, 'Oh boy, how una dey make money here?' They told me it is either you sell drugs or get involved in 419, or drive a taxi. So, you decided to become a cab driver. Yes. I put all these things together and I said that people who were driving taxis were not doing an illegitimate job. They could make $80 per day at that time. If you drove from morning till 11 p.m. or midnight, you could make $300. I bought a cab and they started saying 'oh, a star is driving taxi. These people are going to finish you.' But I told them to tell everybody who cared to listen that I was a taxi driver here. I was even the person that broke the news. I bought three more cabs and employed drivers. So, when they drove, I would take $50 from them. So, I earned like $180 a day. As the money was coming in, I was investing it. I came to discover that I was better than those that were selling drugs. 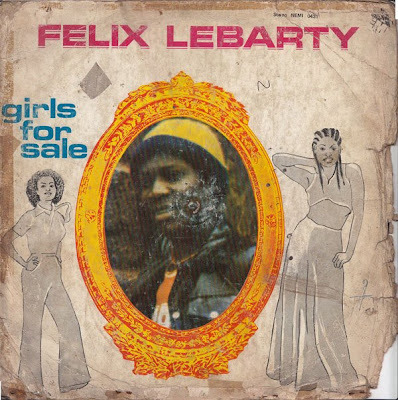 Felix Lebarty - "Missing You"
Anyway, it's a good thing Felix didn't get mixed up in that business because singer Chris Mba got busted last just week. Poor guy! 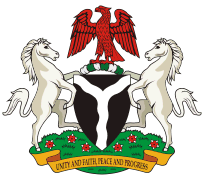 The mid-western region of Nigeria--an area once known as Bendel State, but now subdivided into Delta and Edo States--has produced a great many outstanding musicians. However, few of them get the opportunity to rise to national prominence largely because the region is composed primarily of minority ethnic groups. Yes, you have your Sir Victor Uwaifo, Sonny Okosuns, Kris Okotie, Felix Lebarty, Evi-Edna Ogholi-Ogosi and others, but for each one of these, there are scores of talented artists whose fame never extended much beyond their immediate locality, so I'm always happy when I discover some of them. Until recently, Pogo Ltd was unknown to me... though a few of the members were not: the Benin-based band was made up of guitarist Emma "Cherry" Ogosi, bassist Robo Arigo, keyboardist Emman Osagie Iguagbonmwen, drummer Mike "Gasper" Okuofu (though they all traded instruments) and lead singer Pat "Finn" Okonjo, former frontman of The Hykkers. They seem to have been fairly popular down there, but the only album from them I have encountered is the reggae set We Shall Win, which I shall--by way of an educated guess--date to 1979. 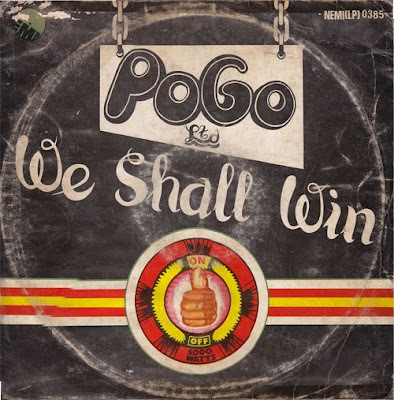 Pogo Ltd - "We Shall Win"
It was a ubiquitous anthem during the era of the struggle against apartheid, but I actually thought it was an ages-old church song or a public-domain standard or something... But then again, it has somewhat specific references to then-current events involving Rhodesian Prime Minister Ian Smith and South African President John Vorster. So yeah... This must have been a pretty big hit for them. It would seem that Pogo Ltd broke up soon after We Shall Win: In 1981, Emma Ogosi embarked upon a successful solo career as a country singer, and then later as producer/husband of mid-80s reggae star Evi-Edna Ogholi. Robo Arigo also launched a less sensational (but still very interesting) career as a solo artist and producer. Pat Finn Okonjo went and got himself a 9-to-5, working at the Nigerian Television Authority's Benin office. When (the awesome) Jake Sollo returned to Nigeria after his long London sojourn, he looked up his old Hykkers buddy Finn, with a mind to putting the old band back together. I don't think that project ever came to fruition in the midst of Sollo's busy schedule, but Pat and Jake did collaborate on the album In The Beginning in (again, educated guess) 1982. Pat Finn - "We Shall Win"
Jake Sollo is Awesome! 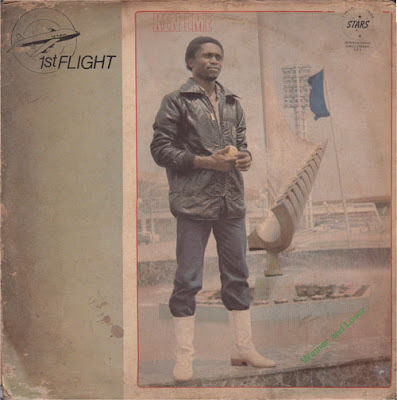 Part 2: Ken Eme/1st Flight, Veno and the Prophet "V"
Just so that there is no confusion, let us make this point perfectly clear right from the get-go: Jake Sollo was the hottest, the most prolific, the very best music producer in Nigeria during the first half of the 1980s... and perhaps ever. He is awesome! 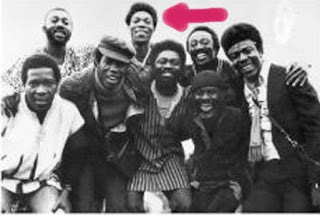 A little background: Sollo (nee Nkem Okonkwo) started his career in the 1960s with The Hykkers, a "beat" group formed at the University of Nigeria, Nsukka. The Hykkers - "Stone the Flower"
The Hykkers remained a popular draw across the country throughout the Nigeria-Biafra war but disbanded shortly thereafter. Sollo subsequently joined the Aba-based Funkees, who soon became instant superstars due to the East-Central State Broadcasting Service's heavy rotation of a rough demo called "Akula Owu Onyeara" (check out the more polished--but still raw and funky--officially released version on Soundway's Nigeria Special). The Funkees phenomenon spread across the country, into Cameroon and eventually to England where they were championed by legendary BBC Radio 1 DJ John Peel. By 1976, with creative and personal tensions slowly disintegrating The Funkees, Sollo was offered the golden opportunity to play with the creme de la creme of Afro-rock groups, Osibisa. Sollo's distinctive rhythm guitar graced hits like "The Coffee Song," but his tenure with Osibisa was short-lived: On July 19, 1977, as the band prepared for a historic performance at London's Royal Festival Hall (captured on the double LP Black Magic Night), Sollo and two other recent Osibisa recruits--keyboardist Kiki Gyan and conga man Kofi Ayivor--failed to report for duty. Gyan--feeling shortchanged by group leader Teddy Osei--had convinced his fellow newbies to join him in a work stoppage to force the management to grant them a raise. Like Wendell, Spartacus and Loughty before them, the three dissidents soon realised [sic] they'd made an awful mistake. They became regretful and penitent, appealing to Teddy to overlook their pertinacity and let them back into Osibisa. Teddy refused. "We felt that clearly they had jumped into the fire with their eyes open and had no one else to blame but themselves for their misfortune". They later relented and reabsorbed Kofi Ayivor, but not the other two. Within a couple of years, a very frustrated Jake Solo [sic] was dead, killed in a car crash in Nigeria. After a series of fits and starts, Kiki Gyan moved back to Ghana and became a junkie--hooked on heroin. Even recognizing that Aniagolu is an ardent Teddy Osei sympathizer who spares no efforts in his book to portray all who defy Osei as losers, I wonder if his decision to gloss over Sollo's subsequent career and describe him as "very frustrated" was motivated by any special insight into the man's life. Because from where I'm standing, Jake did just fine after Osibisa. 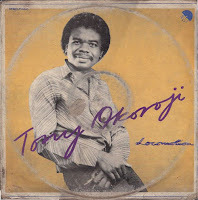 He got steady work as a session man and producer in the London scene and his dance card stayed full upon his return to Nigeria in 1981, especially after the enormous success of Felix Lebarty's Lover Boy. As the London Era drew to a close with the budgets (and visas) to record in the UK becoming increasingly scarce, Sollo set up shop in Enugu, recording at Tabansi Studios and Rogers All Stars Studio (located in the nearby commercial hubs of Onitsha and Awka respectively) and started cranking out records at a furious clip. During this period, Sollo was the most in-demand producer in Nigeria. His specialty was bouncy, high-gloss boogie, though he occasionally produced artists in other genres as well. Regardless of which style he was working in, though, a Jake Sollo production was instantly recognizable: the fat, angular basslines... the chirping and chattering guitars... but the chief sonic signature of Jake Sollo records was probably the squiggly and squelchy sound of the Prophet "V". While the Prophet-5 synthesizer had been introduced in the 1977 and quickly become a hot piece of hardware among art-minded rockers like Kraftwerk, Roxy Music, Talking Heads, Gary Numan and New Order, by the early 1980s there were still less than 2000 of them shipped and I believe Sollo had the only one in Nigeria. * The revolutionary polyphonic sound of the Prophet allowed it to be a more convincing replacement for horn arrangements. Sometimes Sollo utilized the synth sparingly, as an accent... and other times, he virtually slathered his tracks in it. A fine example of Sollo's heavy Prophet style would be the work he did on the album Winner and Loser by Ken Eme (1st Flight). I wish I knew more about him/them; as it is, I'm barely certain about whether he was a solo artist or part of a group! 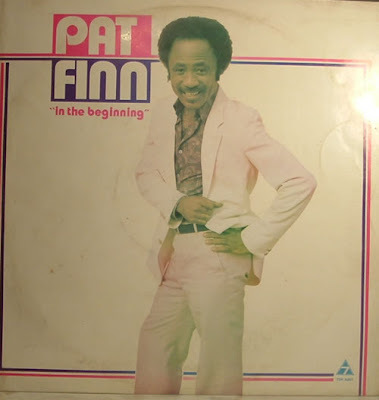 I first encountered this record in 1983 (or maybe early 84) when the music videos were played on NTA 9 Calabar. As I mentioned before, the immediate appeal of the video was the fact that they looked really cool. Unlike a lot of groups of the time, they seemed to have a coordinated style and gimmick (they wore boots and sweet flight jackets) and they had some awesome breakdancing (by this time, though, we still referred to this style of dancing as "Electric Shock!" --yes, with the exclamation point). The videos billed the artist as "1st Flight" (with a logo showing a low angle of an aeroplane taking off) and they seemed to be a trio... or at least a duo (it was a bit hard to distinguish the actual group members from the dancing extras sometimes). 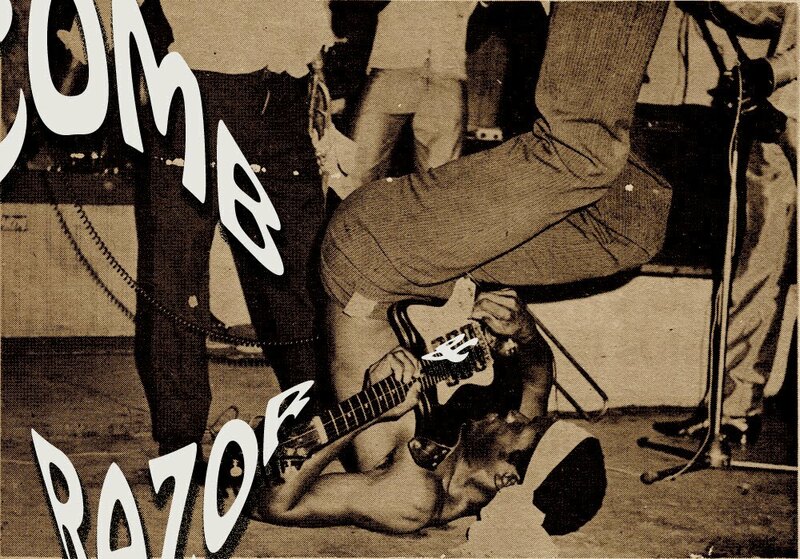 I recall hearing on the radio that the group's lead singer was named Ken Eme. Now I have the album in front of me and it says both "1st Flight" and "Ken Eme" on the cover, and while he's pictured chilling with one of the other guys on the back, the other fellow remains unidentified. Apart from Sollo's semi-regular session men like bassist Modjo Isidore and pianist Sony Enang, the only person credited is Ken Eme and the LP label doesn't mention 1st Flight at all. 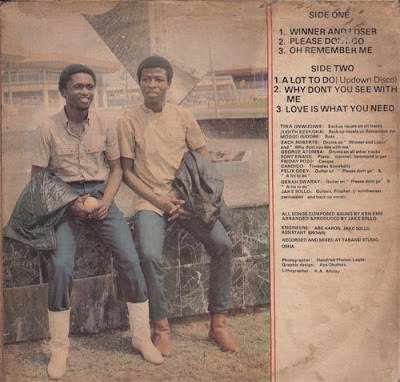 Ken Eme/1st Flight - "Love Is What You Need"
I never heard of 1st Flight again after 1984, and they seem to have been erased from the popular consciousness, because apart from my boy Enyi, I cannot find anybody who remembers them. Even my older sister with whom I used to sing the title track, Donny & Marie style--I asked her if she remembered "Winner and Loser" and started singing it; she looked at me like I was crazy! The style on display on "Love is What You Need" reminds me a lot of another Jake Prophet track: "Groove I Like" by Veno. 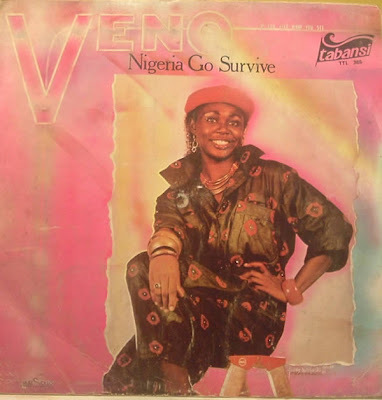 This song (which has been a favorite among boogie lovers over the past year) is from the album Nigeria Go Survive, from 1985. The release of this album marked (for me, at least) a distinct detour in the direction of Nigerian popular music. Maybe because there wasn't as much Jake Sollo music around after it? Someone told me Jake died while working on this album, but I'm not sure that's correct. (The car crash that claimed Jake and Al Jackson Nnakwe was in late 1985). Anyway, this album was co-produced by Roy Obika of the Esbee Family, and much of it really doesn't sound like Jake's work. Is it possible that Obika completed Sollo's work after the accident? For now, enjoy the Jake Sollo awesomeness! Veno - "Groove I Like"
*We-ell... Come to think of it, William Onyeabor must have had one too, right? 48 years today... You've come a long way, baby!